On the 1st of December 2014, Damaturu, the capital of Yobe State, came under attack by Boko Haram insurgents. Six kilometres away in Dikumari, a diverse farming community of 2,000 residents, the gunshots and chaos forced many people to flee the town. 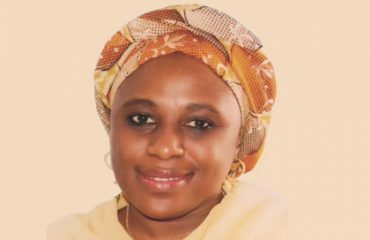 Barely six months later, Dikumari became a host community to some of the nearly two million Internally Displaced Persons (IDP) in northern Nigeria. There are no reliable population statistics, but according to the community’s own estimates there are at least 5,000 permanent residents as well as seasonal visits by Fulani nomads. This increase put the existing infrastructure under strain. For example, there were no medicines at the dilapidated local drug dispensary. The community didn’t have the capacity nor the resources to manage its health facility, and the attendance dropped. The MNCH2 programme has been working in Dikumari throughout the period of unrest and reconstruction. 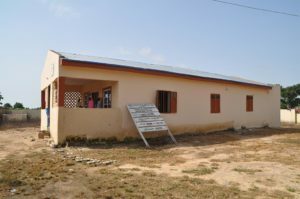 Since November 2014, the programme has been supporting health services through the renovation and expansion of the health facility and by providing basic equipment. 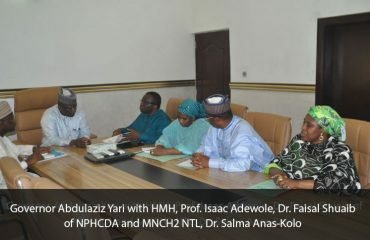 After May 2015, however, the focus has been on accommodating the health needs of the increased population of IDPs and returnees. MNCH2 renovated Dikumari’s health facility in 2014. It survived the insurgency and has seen an increasing attendance since then. Both Balki and her baby, who has received all vaccinations, are doing well. 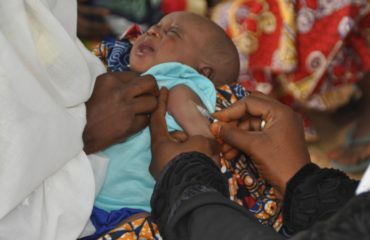 The cominbation of new antenatal, labour and delivery services, and the visible involvement of the community in decision-making through the FHC, has increased the number of women accessing services by almost 150-fold, compared to the pre-insurgency figures. 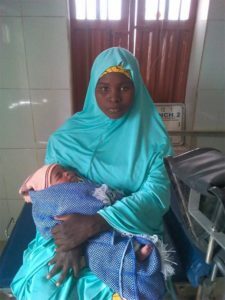 By January 2018, 13 women had given birth with a skilled birth attendant’s support. Read more about how the health of women and girls is part of the healing of conflict-affected communities in the North East. North-East Nigeria Humanitarian Situation Update. OCHA, February 2018.